A time honored Thanksgiving tradition for many runners is running in a local turkey trot. Holiday themed races usually appear on the local running calendar starting in early November and continue through New Year’s Day. Many November races are Thanksgiving and Harvest themed. It’s a special treat to run on Thanksgiving Day itself. 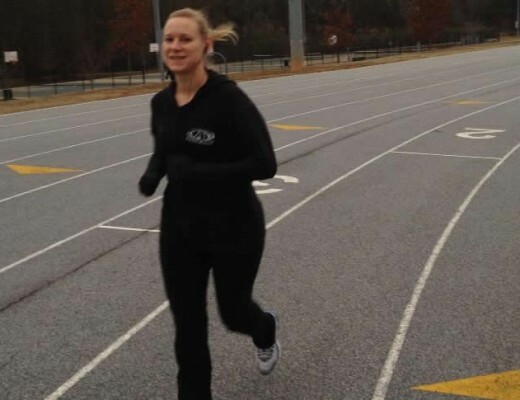 Here in the Atlanta area the largest Thanksgiving day race is the Atlanta Track Club Half-Marathon and 5K. In year’s past that also included a full marathon, which we both enjoyed running. We got a chance to run the final Atlanta Marathon back in 2009. 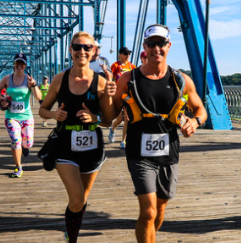 If you’re looking for a big, professional race you’ll be in good company at that race. Although we do sometimes run in big races, we really enjoy running in small local races. 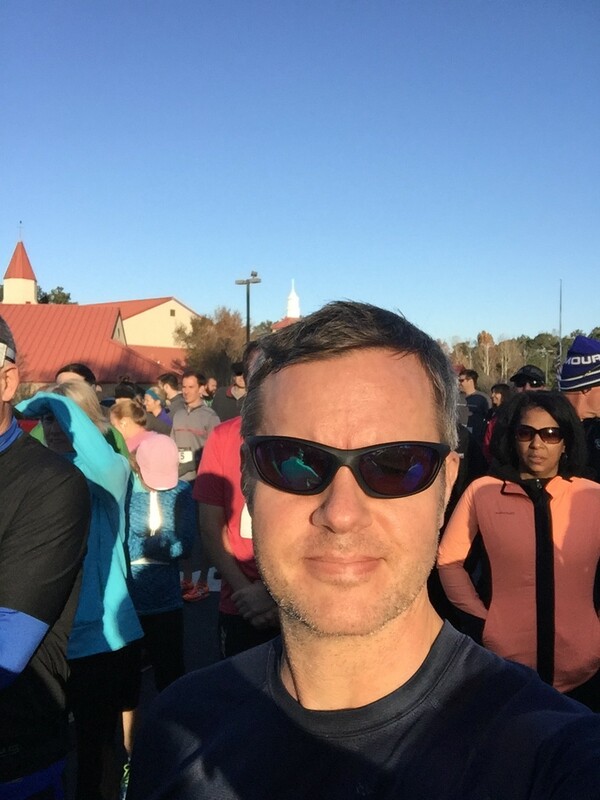 Here in South Atlanta, we’re blessed to have a great local Thanksgiving race – the Peachtree City Christian Church (PTC3) Turkey Trot 5K. 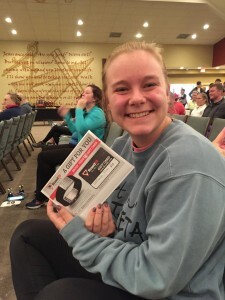 My daughter Alex, my niece Maddie, and I ran the 2015 PTC3 Turkey Trot 5K on 11/26/15 and here’s our report. 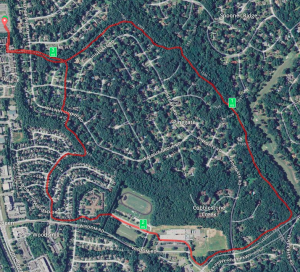 The PTC3 Turkey Trot is run on the beautiful tree-lined golf cart paths of Peachtree City, GA. The race itself starts in the parking lot of Peachtree City Christian Church and immediately heads onto the cart paths. There’s a 5K and 1 mile fun run option. Both races are loop courses that finish right where you start. Because you never know what kind of weather to expect, it’s nice that the post-race refreshments and awards ceremony are held indoors. All pre-registered runners get a high-quality race shirt. It’s a real bargain race at $25. 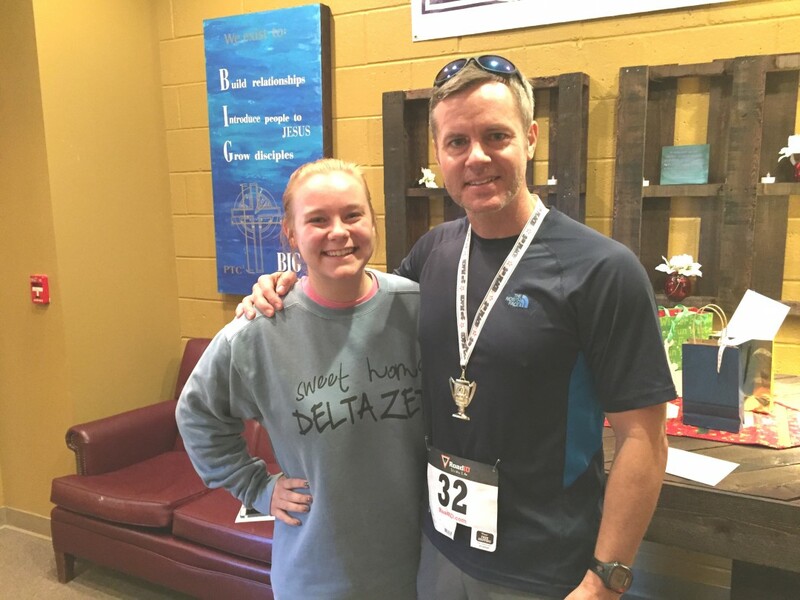 Proceeds from the race stay in the local community and support the local ministries of Peachtree City Christian Church. According to Pastor George Dillard, this year’s race had 150 participants. 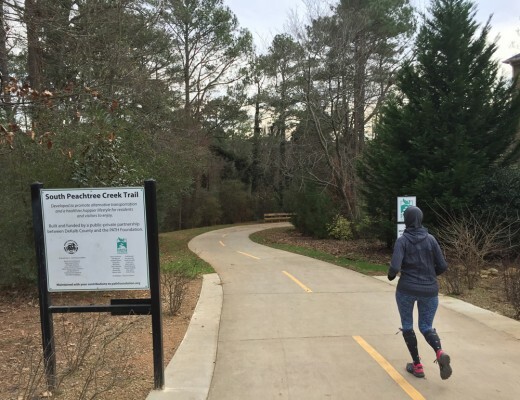 If you’re local to the Peachtree City area, you might be familiar with the Jingle Jog 5K run the first weekend of December. This course is mostly run on that course. 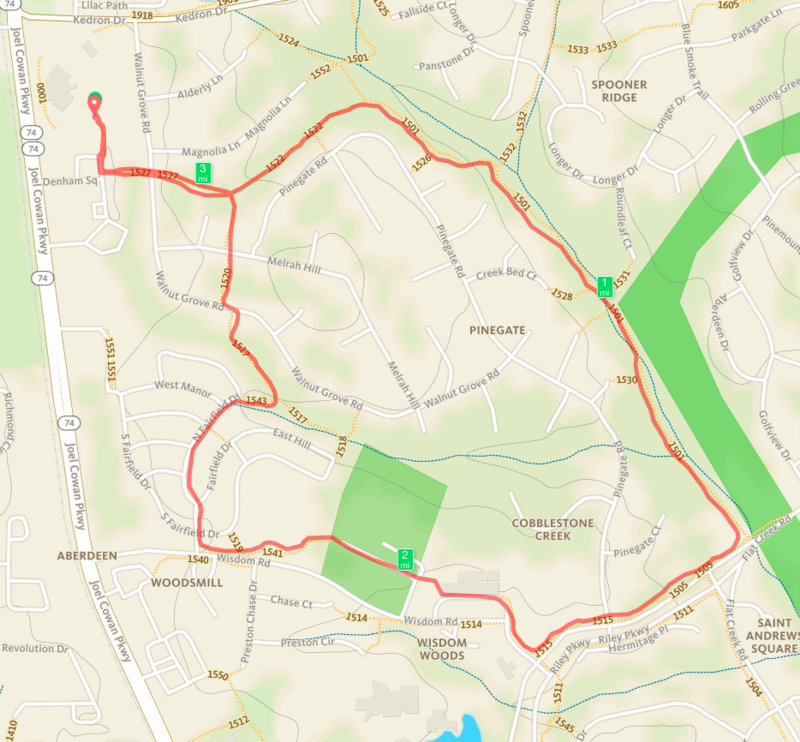 You start at the Church parking lot, head into the small Denham Square neighborhood, then head left onto the path system. Enjoy a nice downhill section as you head down to Flat Creek. The path then follows the creek (Flat Creek to your left) on a long flat stretch all the way to Flat Creek Road. Once you reach that point, you’re about half-way. The course heads right and up a steep climb parallel to the road. You’ll work your way right up to Peachtree City Elementary School, run through the front parking area of the school, around the bus pickup area and straight through the adjacent Riley Field parking area near mile 2. At the far end of the parking lot, the path resumes and you’ll follow that to the Fairfield subdivision, where you’ll turn right and have a short section on the road. The road splits, so follow the course markings and veer left, enjoying another nice downhill section. (NOTE: Jingle Jog course veers right). At the end of the road, you’ll rejoin the path system and follow that north on terrain that feels like it’s rolling hills, but you’re actually gently climbing upward. You’ll cross two roads and then turn left to go up another short steep hill. You’ll probably recognize this as the path section that you started on with course markers pointing in both directions. You’ll reach Denham Square again, turn right and you’re almost home. At the end of the road, be sure to turn slightly right on the path to the Church and not left into someone’s driveway. After you clear a short wooded section, you’re done – congratulations, you made it! I (Joe) was honored to win 2nd place overall in the race this year. This is not a fast course. The first part is downhill and flat, but you more than pay for that in the final mile. 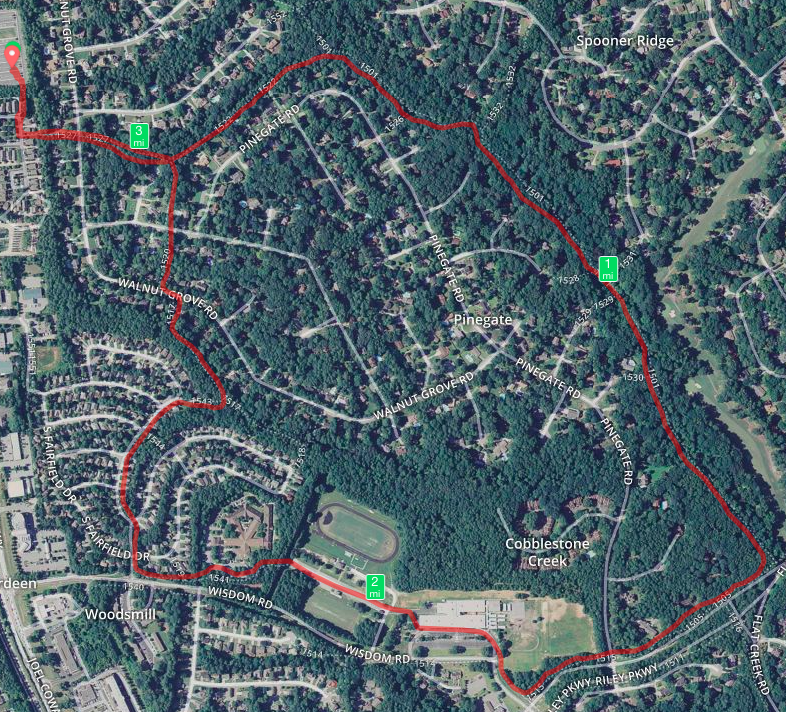 The course is also slightly longer than 5K, my GPS recorded it as 3.3 miles. Consider that an extra bonus to burn off more calories. Although there’s nothing wrong with going up into Atlanta running the “big race”, why do that when you can stay local? Here’s some things we like about this under-rated, local race. 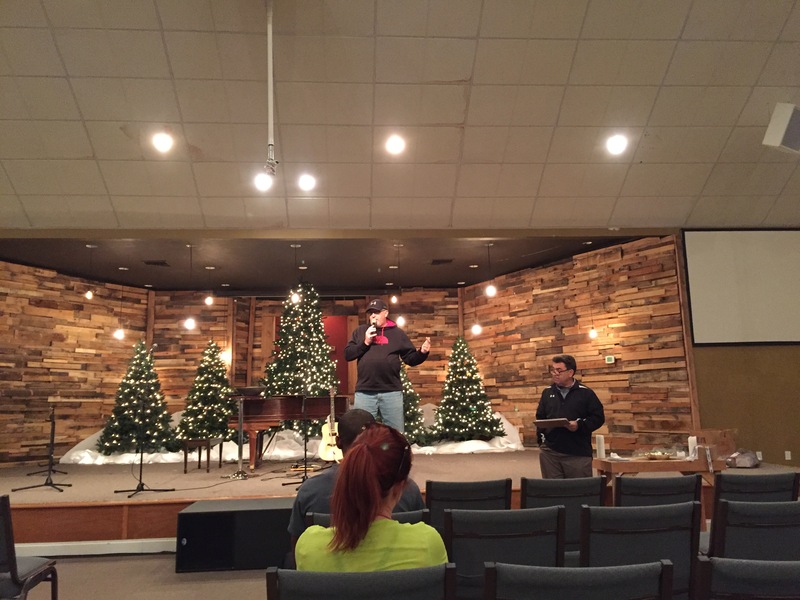 Race is local and supports local ministries. 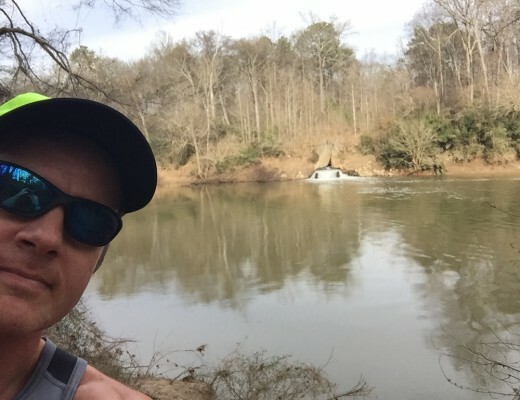 Course is challenging, but scenic and fun. We can run this race, be done, and be eating Thanksgiving dinner by noon! Consider running this great local race next year. Hope to see you there.